D-Tools reminds entrants of the annual D-Tools Design Awards there are only three weeks left to submit entries this year’s contest (click here to enter). 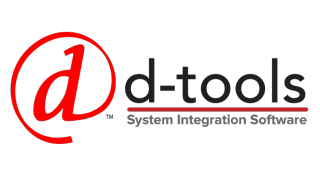 D-Tools is pursuing System Integrator (SI) software users’ greatest success stories and project designs that display not only how the organization or individual uses the software platform, but also how the software has positively affected their business and ROI. The contest is open to those using the D-Tools software platform and winning success stories will be selected from a diverse group of D-Tools users from around the globe serving residential, commercial, security, education, hospitality, HoW, and IT markets. D-Tools Design Awards winners will be announced in September, during CEDIA in Dallas, TX. D-Tools Design Awards contest categories include Best Residential, Best Commercial, Most Unique, and Best Overall Winners, which will be selected by both the D-Tools product team and a select group of D-Tools Certified Partners. The winning entries will be judged on a number of criteria, including originality, depth of use of D-Tools’ software, overall system design, and will include entries which best communicate and demonstrate the system designer’s knowledge of the software. Winners will receive valuable prizes from the contest sponsors and D-Tools Manufacturer Vantage Point (MVP) partners, including Atlona, Avenview, Autonomic, IC Realtime, KanexPro, KEF, Kramer, Leon Speakers, and LILIN. The deadline for submitting projects is August 26, 2016. D-Tools customers can submit their entries by visiting http://d-tools.com/design-awards/ or by sending an email to Josh Carlson at JoshC@d-tools.com.